As well as being an attractive cycle ride this route takes in some of the most important neolithic remains in Europe and is a reminder that the people who lived here over 5000 years ago (before the pyramids) were no less ingenious than us even if they had simpler tools to work with. There is also a possible short diversion to look at spectacular cliff scenery. The chambered tomb at Unstan is near the Bridge of Waithe. It was excavated in 1884 and a large amount of neolithic pottery was found. The bowls have a characteristic shape and give there name to a class of pottery called Unstan Ware. Shortly after this you come to Maeshowe, possibly the finest surviving achievement of neolithic Europe. Despite dating from 2750BC it is completely intact. Maeshowe is a burial chamber although no bodies were found in it, possibly the Vikings cleared it out during the 12th century. The interior chamber bears Viking grafitii - pictures of a serpent and a walrus - plus a number of runes. The Vikings removed treasure, the runes say but did no damage to the tomb itself. After they left the tomb remained undisturbed until 1861. The chamber is 4.5 metres square. On the shortest day of the year the chamber is briefly illuminated by the setting sun. 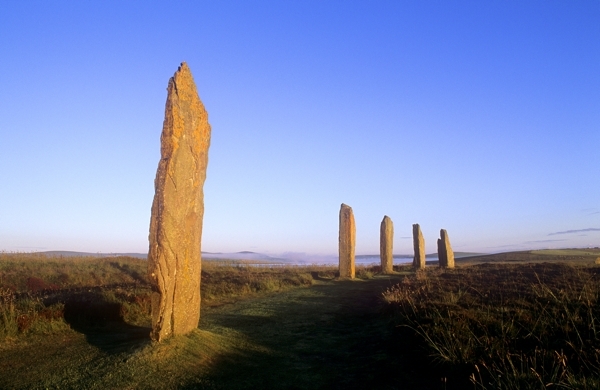 On the way to Skara Brae you pass the Ring of Brodgar which has some similarity to Stonehenge in England. 4700 cubic metres of rock were moved to create it, though what those people believed, and why they did it is unknown to us. Before reaching Skara Brae you pass a minor road leading to Yesnaby. This is an excellent place to see the high cliffs and the power of the Atlantic on a rough day. 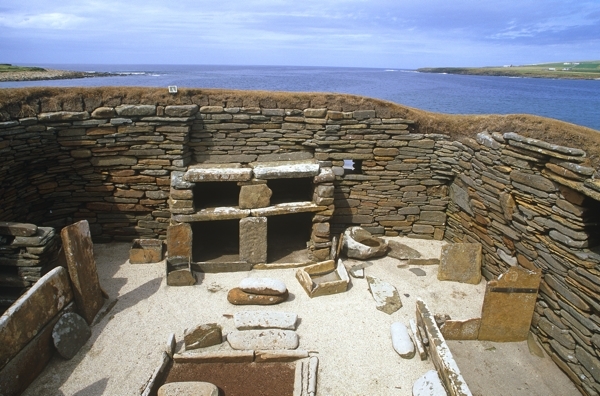 Skara Brae is one of the most remarkable things in Orkney. This prehistoric village was occupied from 3100BC to 2600BC. Around 45 centuries ago the village was overwhelmed by a sandstorm. It lay these, preserved by the sand until another severe storm in 1850 caused it to become exposed again. The resulting remains give a unique guide to the life style of the villagers. 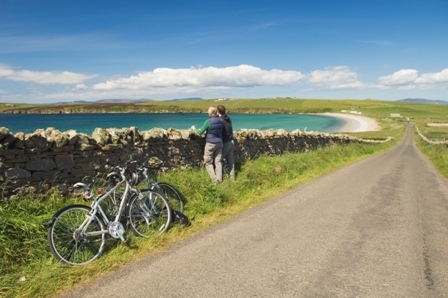 The route described here is part of the multi-country North Sea Cycle Route and the National Cycle Network and are being signed as Route 1 with blue cycle signs. Leaving Stromness, head north past the swimming pool follow the main road to Kirkwall (A965) towards the Brig o’ Waithe. On the left just past the bridge is the Unstan Chambered Cairn. The cairn gives its name to a class of Neolithic pottery ' Unstan Ware. 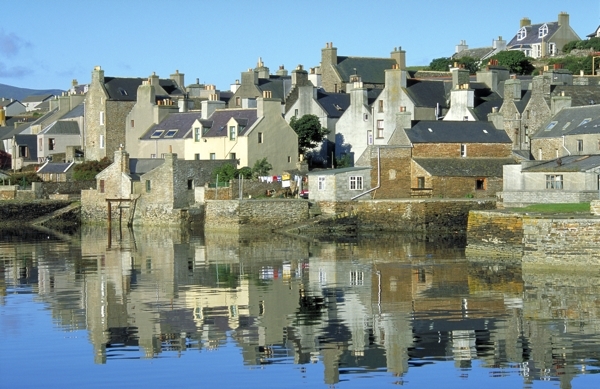 Head back to the main road and turn left towards Kirkwall as far as Tormiston Mill, about half a mile on your right. 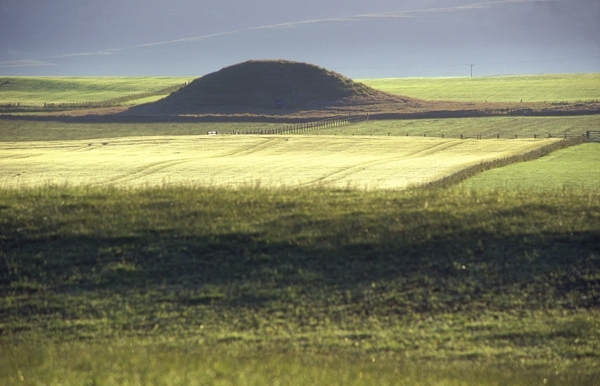 From here you can walk across the road to Maeshowe, a magnificent 5000 year-old burial chamber with Viking runic graffitti which can be seen if you pre-book a guided tour. 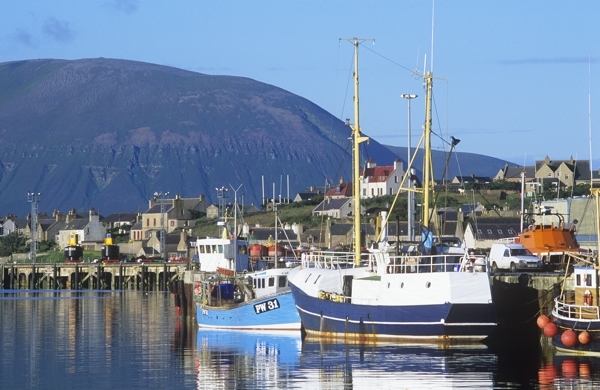 Head back towards Stromness and turn right at signs for 'Ring of Brodgar' (B9055). On your right are the Standing Stones of Stenness and the Barnhouse Neolithic settlement. Another mile along the loch side on the left is the Ring of Brodgar. Follow this road uphill towards the main road. Go across the main road following signs for 'Skara Brae'. Follow these signs to the Bay of Skaill (B9056) where you can park and visit Skara Brae, the visitor centre and Skaill House. From here carry on north towards Birsay through the undulating hills of Marwick. Into the village in Birsay there are local amenities and St Magnus Kirk, and the Earl's Palace to visit. 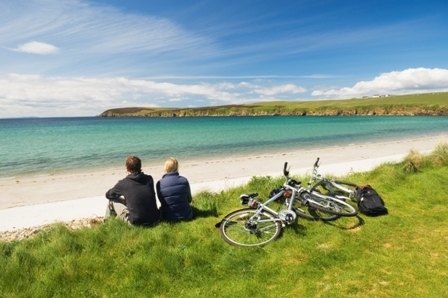 Along a single track road beyond the village is the Brough of Birsay, a tidal island with a Pictish and Norse settlement, which can be visited across the causeway at low tide (suitable crossing times are available at one of Orkney's Visitor Information Centres).